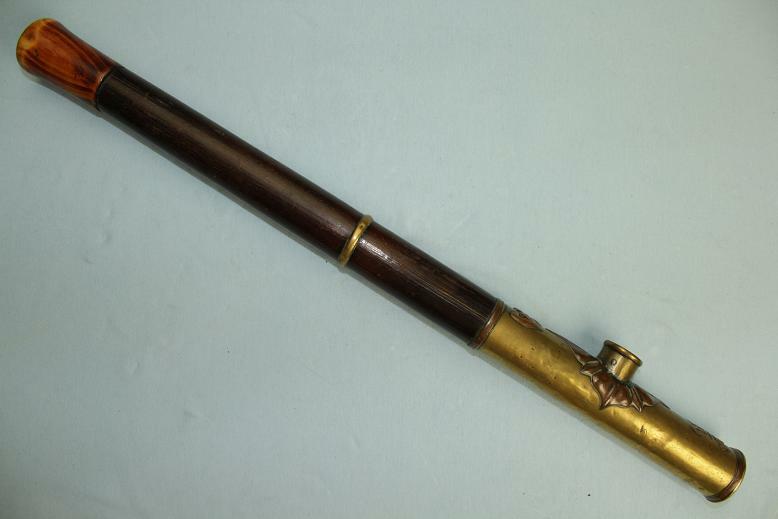 A fine, heavy and interesting Chinese Opium pipe. 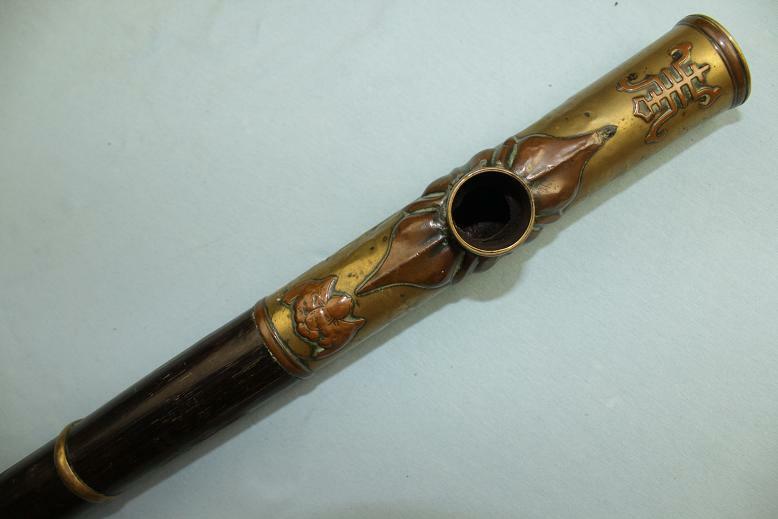 This Opium pipe measures 48cms long and approx 35mm in diameter. 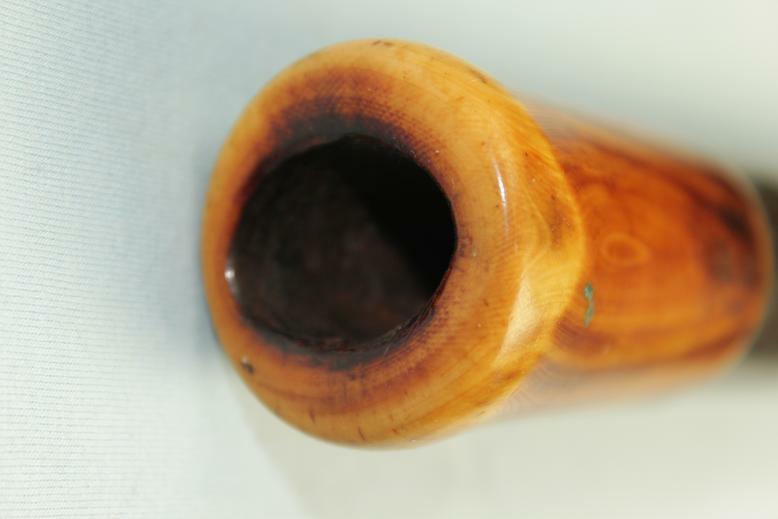 The mouth piece is a well used and stained ivory section that is 5.5cms long. 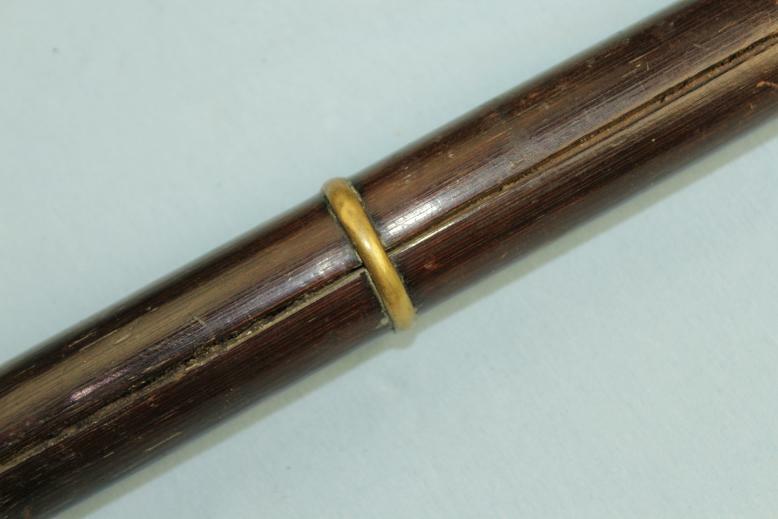 The body of the pipe is thick bamboo that has a long age crack to one side that has not broken all the way through. 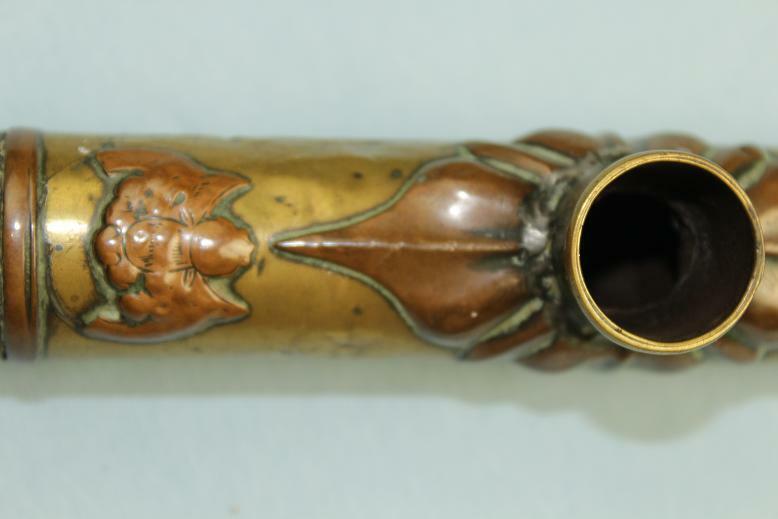 The pipe end is is 17cms long and is made up on various brass, bronze and copper parts. The stem for the opium bowl is sitting within what appears to be a lotus bud. Above the stem is a embellished Chinese character and below is a bat. 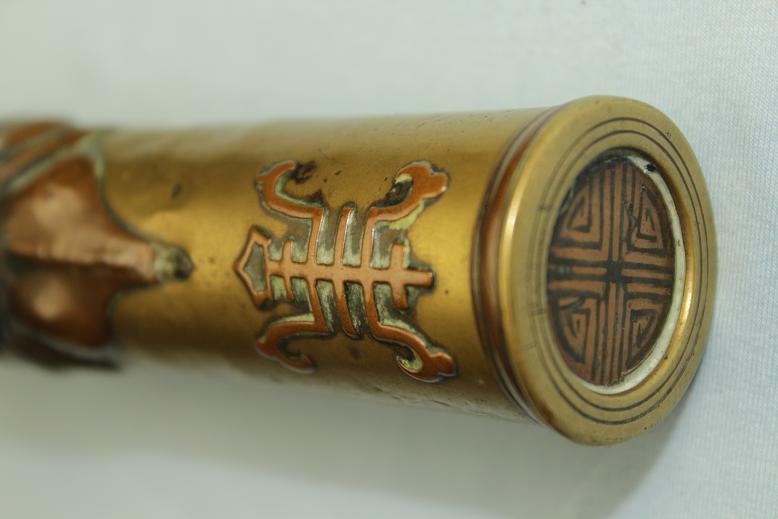 To the end of the pipe is what appears to be a longevity symbol. 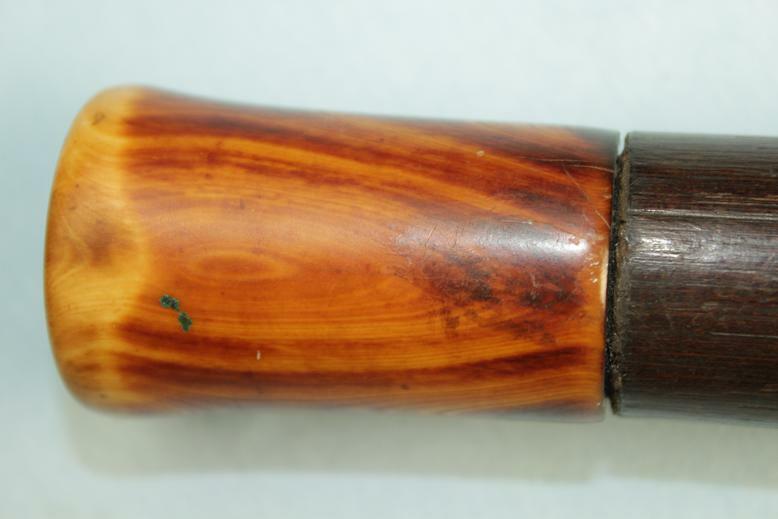 The size and weight of this pipe and that the end is solid and heavy, it is very possible that this pipe was used as a personal defense weapons when not under the influence of Opium. 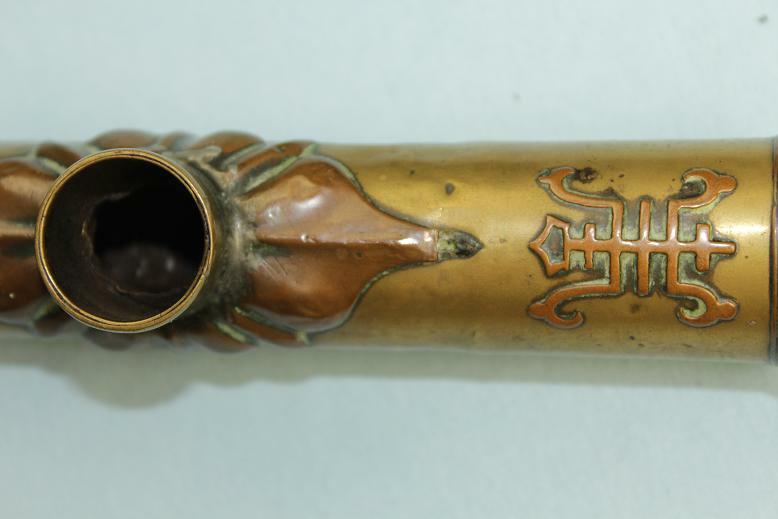 A very interesting Chinese pipe in good condition throughout.